Afghanistan's proposed white-ball tour of Zimbabwe, scheduled to be held next month, has been cancelled after the two boards couldn't arrive at a consensus with regards to broadcasting, Zimbabwe Cricket (ZC) announced on Monday (March 11). 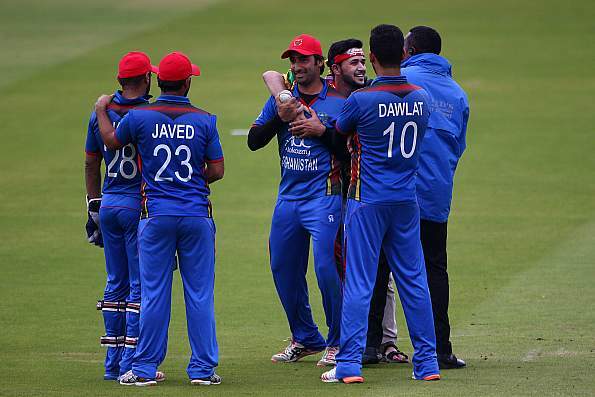 Afghanistan were expected to play a series of five One Day Internationals (ODIs) against Zimbabwe as part of their preparations for the upcoming 2019 Cricket World Cup, starting from May 29. Although the two boards agreed to share costs, Afghanistan insisted that the matches be beamed live on television while the surging costs forced Zimbabwe to look at the streaming option. "Although the two boards had agreed to share the tour expenses, the prohibitive costs of broadcasting the matches live on television - which the ACB was insisting on - unfortunately derailed the proposed series," ZC said a statement on Monday. Afghanistan are now left with a handful of ODIs against Scotland, Ireland, Pakistan and England before taking on defending champions, Australia, in their first World Cup game on June 1st in Bristol.